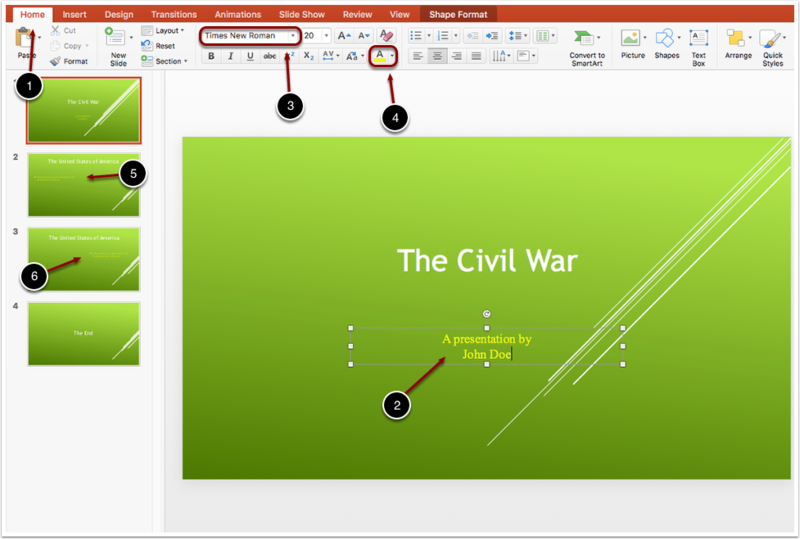 EdTech Help GuidesED206 Powerpoint TCAHow Do I Edit The Layout Of Powerpoint? 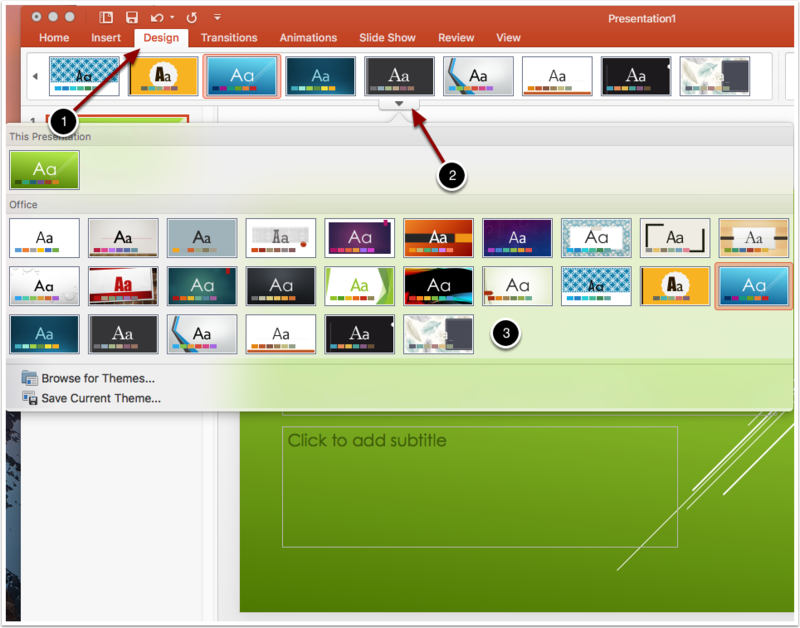 Below are instructions on how to edit the background theme and the text. 1. Select the design tab. 2. Select the drop-down arrow, as shown above, to view different themes. 3. Select any theme with a green background. 2. Highlight the text you want to change. 4. Select the color tab shown above and choose which color to use. 5. Follow steps 1-4 for the title on slide 2. 6. Follow steps 1-4 for the title on slide 3. 7. Follow steps 1-4 for the title on slide 4. 5. Follow steps 1-4 for the text on slide 2. 6. Follow steps 1-4 for the text on slide 3. 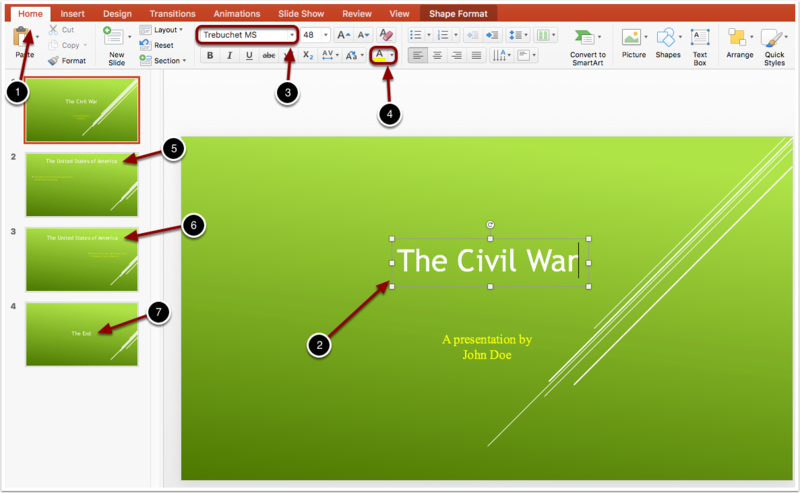 Prev: How Do I Complete the Practice Powerpoint TCA? Next: How Do I Edit The Slide Transitions?